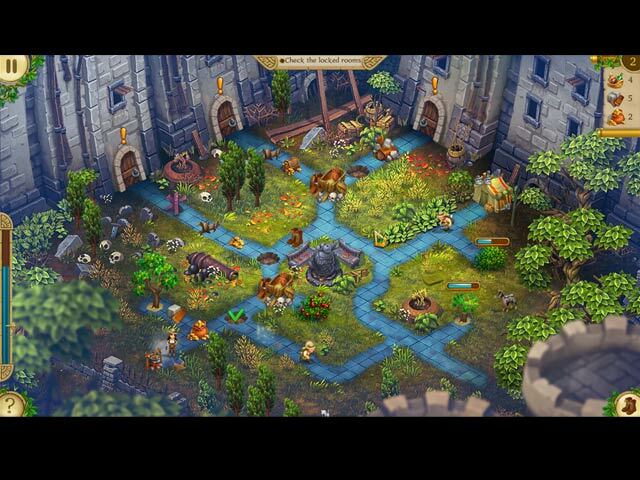 Rated 5 out of 5 by Landarch223 from A GREAT SERIES OF GAMES! I'm always looking for another good time management game, and the whole series of Alicia Quatermain games are top notch. Each version is better than the last, and I return to replay them all the time. I bought the collector's edition of The Mystery of the Flaming Gold before playing the regular version because I was dying for a new game. It's the only collector's edition I've ever purchased, and I have no regrets. It has 11 more levels, which makes it worth the higher price because it's such a great game. There is also a strategy guide that gives you the steps to play the game (if you need them), and allows you to see where the puzzle pieces are located. (These allow you to recreate the Colonel's study). An additional "bonus" consists of wallpapers, which by themselves would not make it worth the higher price as far as I'm concerned.....but the other perks make the collector's edition well worth it. 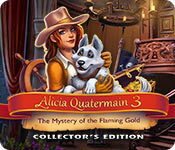 Each Alicia Quatermain game is different from the others, with its own innovations and surprises. The story lines are interesting (although not the most important element for me), the graphics are great, game play is exciting and challenging. Difficulty can be controlled by the settings you use. These are games you can play over and over again. I definitely recommend playing the trial if you have doubts -- you'll get a good idea of what the games are all about. LOTS OF FUN! HIGHLY RECOMMENDED! Rated 5 out of 5 by Kitty221 from AWESOME TM/STRATEGY SERIES Colorful, music is fun, gameplay very addicting. I am hooked and you will be too!! If you love TM games then this is for you, hours of fun, challenging levels-not impossible. Story is fun too! I will be looking forward to part 4!! Rated 5 out of 5 by megatema from Excellent Time Management game! Lots of fun, good graphics and perfect gameplay! Rated 5 out of 5 by lininindy from 5 STAR GAME FOR SURE!! The graphics are tops! The story is adorable! It's a FUN game to play. I love it! Rated 5 out of 5 by twtscat48 from Another Winner in this series!! I have purchased all of the games in this series, and this was pretty well an immediate purchase for me. The storyline is great, the graphics are nice and clear and the characters are fun to watch. It was worth the money to purchase this game. I definitely recommend this game. Rated 5 out of 5 by Ndwelt from You Go Girl! We love our TM games and this one is GREAT! The pace is perfect on normal and should be even more challenging when I get to the "over achiever" level (my label).I have not been disappointed in any of the Quartermain games as all have proven fun for me, similar to the Hercules TM's. This game has added a variety of new things. Man's best friend, ghosts and criminal interrupters. I could do without having to gather the gold coins but it's all good. LOVE it! Have fun TM gamer's! Rated 5 out of 5 by 2020moonlanding from Check Out The Goat And Bunny I'm a huge fan of the Alicia Quaterman series. After the second series was released I was sure that there was no way it could be topped but I was wrong! The graphics are stunning and I so wanted to pet the charming and animated wildlife. 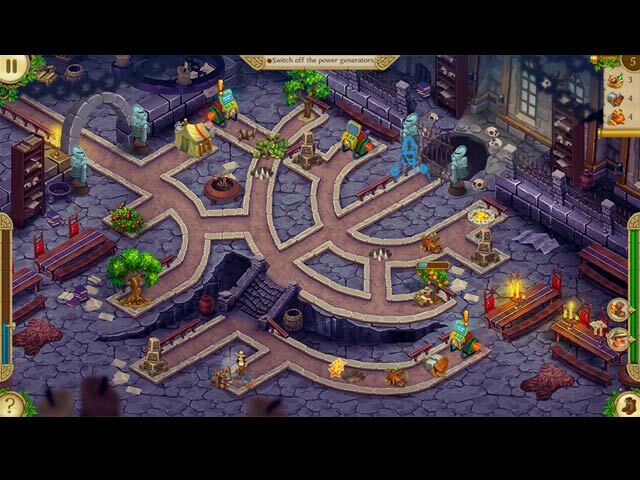 There are the usual tasks of collecting food, wood, and gold. In addition to that you get to search rooms and landscapes for keys and other unique objects needed to complete each level. 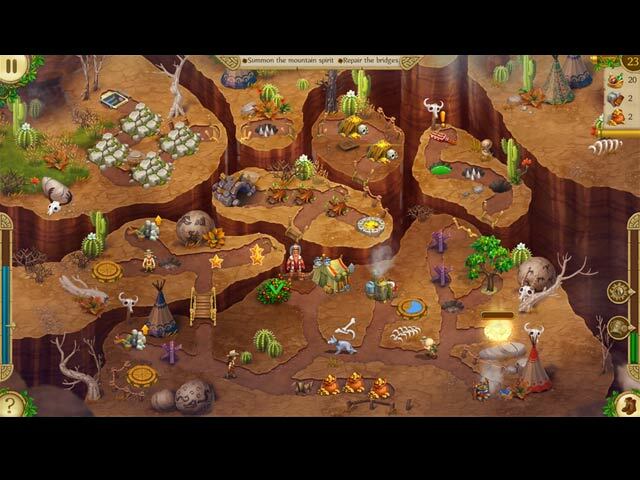 The story really drives the goals of each level which puts Alicia's adventurous skills to task. There are achievements, secret rooms, and puzzle pieces to collect and there are three modes of play, easy, normal, and challenging. Whether you are a casual or expert TM player, this is a joy to play! Rated 4 out of 5 by Starsmark from Fun game but could be better! I have all the Alicia Quartermain games - the collector's editions. I like the gameplay but I'm rather disgruntled at the developers because I always play in "relaxed" mode and there's a penalty for doing so. I will not buy a game that doesn't have a relaxed mode. I play games for fun and relaxation, not stressful beat-the-clock gameplay. These games have a relaxed mode, but there is a penalty: even though I pay as much as everyone who buys this game, when I play in relaxed mode I am prevented from fixing up the museum. You have to earn 3 stars on each level to play this part of the game. It's not fair and I will not buy any more games from JetDogs unless they stop doing this. Rated 4 out of 5 by Scottar from Toughest Version Yet Quite Colorful, this game is sure to attract the younger set. But it's scenarios are also challenging to adults. This version is the most challenging yet and requires some deep strategic thinking on some levels. Finding the puzzle pieces is very challenging also. I played this game under normal time limit and was able to get 3 stars on every level, some up against the clock. Rated 4 out of 5 by nibblet123 from a good TM game finally Finally a good TM game . As stated in other reviews graphics are good and its a fun game. I only gave it four stars because I don't like having to collect the stars all the time and for me the puzzle pieces are close to impossible to find.